SHANGHAI (Reuters) - When her father's lung cancer worsened, Yin Min, a 51-year-old financial broker from Shanghai, faced a choice: pay nearly $3,000 a month for an approved drug or pay a fraction of the price for a generic drug not approved for use in China. Yin, like many families in China, turned to the increasingly popular, unregulated market of online pharmacies, agents and peer groups for drugs. She bought a generic version of Iressa, not approved for use in China, directly from a manufacturer in India. "With this sort of misfortune, it's hard to put into words the financial pressure you feel," Yin told Reuters. Of 30 cancer patients interviewed by Reuters over the past year, two-thirds took routes similar to Yin's, pushed by China's high drug prices and a lack of access to newer drugs. The patients were aged between 32 and 81, had varying income levels and suffered from a variety of cancers. There is no official data on how many cancer patients in China turn to unregulated channels, but research indicates an increase globally in the use of gray and counterfeit markets. Liu Xuemei, a 61-year-old carcinoma patient from Beijing, said she went through a pharmacy agent to get a cheaper alternative to the approved Zadaxin, while Zhao Xiaohua, who has lung cancer, said he found a cheaper treatment through a patients group recommended by his doctor. Patients Reuters spoke to said doctors often turn a blind eye to them accessing drugs through the gray market, and some actively help them do this. Medicines bought through unofficial channels are not necessarily harmful, and some of the Indian generics available online are approved for use in other markets. But they can include drugs that are ineffective or fake. The reason patients in China turn to these unregulated channels are largely financial. Low average salaries, a chasm between urban and rural wealth, and creaking state reimbursement schemes mean serious disease is among the leading causes of poverty, creating a major social burden and rising debt. In Yin's case, the generic drug she bought was 13 times less expensive than the China-approved branded Tarceva. But Chinese also turn to unofficial channels because of bottlenecks in China's drug approvals, which pharmaceutical executives say can mean drugs lag markets like the United States by 5-10 years. China requires all new drugs to be tested and approved in the country, but has a shortage of specialists for this work. The national drug reimbursement list, the main catalog of medicines covered by state health insurance, is being updated for the first time since 2009. That means even if a drug has been approved, patients can often only access it if they pay for it themselves. China's health ministry did not respond to Reuters' questions about patients turning to unregulated channels to buy medicines, or the lack of access to new drugs. The high cost of drugs is not confined to China, and there has been a jump globally in so-called 'buyers clubs' - informal patient groups sourcing drugs via the grey market to help those with HIV and hepatitis access drugs at more affordable prices. China last year had four million new cancer cases, according to official data, and the nation's personal healthcare bill is set to soar almost fourfold to 12.7 trillion yuan ($1.84 trillion) by 2025, according to Boston Consulting Group. For many Chinese, being left outside the health system at a time of need is in sharp contrast to the 'iron rice bowl' concept of state benefits and guarantees for life. "If we can't buy the drug in China or we can't afford to buy it, then what other options do we have?" asked Duan Guangping, a banker in Chongqing, whose mother got lung cancer in 2011. He bought a drug for her from Bangladesh. China has sought to increase insurance coverage for serious diseases, and encourage drug makers to lower their prices to gain better market access. It has also tried to speed up the regulatory approval process by thinning out the waiting list, forcing manufacturers to withdraw new drugs where trial data isn't strong enough. But change has been slow. "A lot of new oncology drugs were approved in the U.S. and UK, but in China there's a 5-7 year delay," said Li Tiantian, a former doctor and founder of medical platform DXY.com. "A lot of patients with cancer cannot wait." The overall 5-year survival rate for cancer in China is just over 30 percent, less than half the level in the United States, according to Deutsche Bank. Turning to unofficial channels can also carry a legal risk. Leukemia patient Lu Yong, a prominent member of a local 'buyers club', was arrested last year and charged with selling unapproved drugs and credit card fraud. He was later released after a public outcry. In 2004, after buying a generic version of Iressa from India, Lu helped set up an online group for leukemia patients, who wanted the same drugs he was getting at a fraction of the price of the approved drug in China. 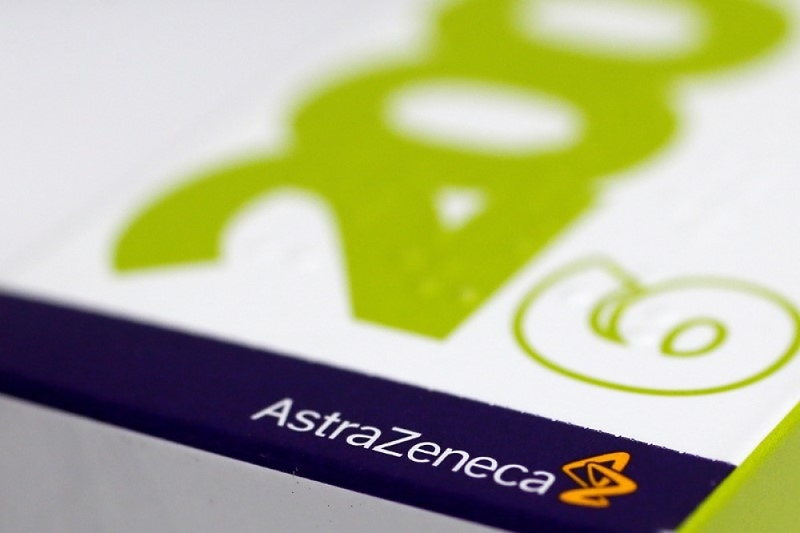 The generic started at around 3,000 yuan ($435) and the price slowly dropped over the years, Lu said - to a long way below the price of the approved drug from AstraZeneca. "There was no other option, so we took this path even though what we were doing was against the law," Lu told Reuters before his arrest. Lu declined to comment to Reuters after his release, but in his earlier interview he said he never profited from the transactions and only helped other patients to make the complicated overseas payments. "It's because of problems with China's public health insurance system that so many seriously ill patients aren't able to survive," he said then.